pair of thick metal pliers reaches into the bloody mouth of an unconscious three-year-old girl. She lies on a white-sheeted bed, three times her size, while four people dressed in surgical gowns extract her tarter-riddled teeth. The plan was to extract six teeth. But by the look of her neglected candy mouth, dentist David Boyles finds that more is necessary. David injects local anesthesia, a numbing medicine shot into the surgical area, during normal tooth extraction cases. In this case, the procedure would induce more pain than the little girl could handle. The patient, Fabiola Suruy, would need general anesthesia, which shoots medicine to the veins, making the patient completely unaware and pain-free during the operation. This is the first time Fabiola has seen a dentist. However, this is also the first time David has stepped inside an operation room. He wears stained baby blue nursing scrubs with a rip along the left side seam and glasses that make his pupils pop out of his sockets. He stays relaxed, poised and keeps a steady grip. And although he’s not in his normal work environment, let alone country, David is in his comfort zone. 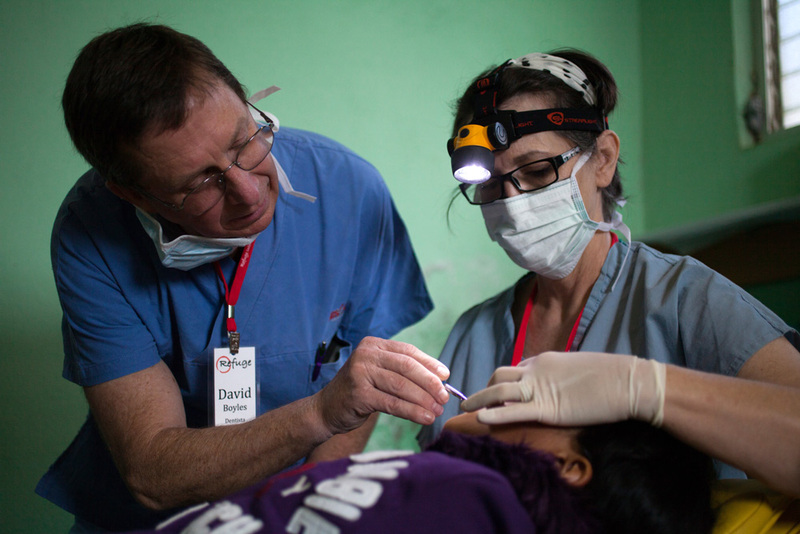 David, a Texas-based dentist, has volunteered his services on more than 70 missions in third world countries, including Brazil, Colombia and Haiti. 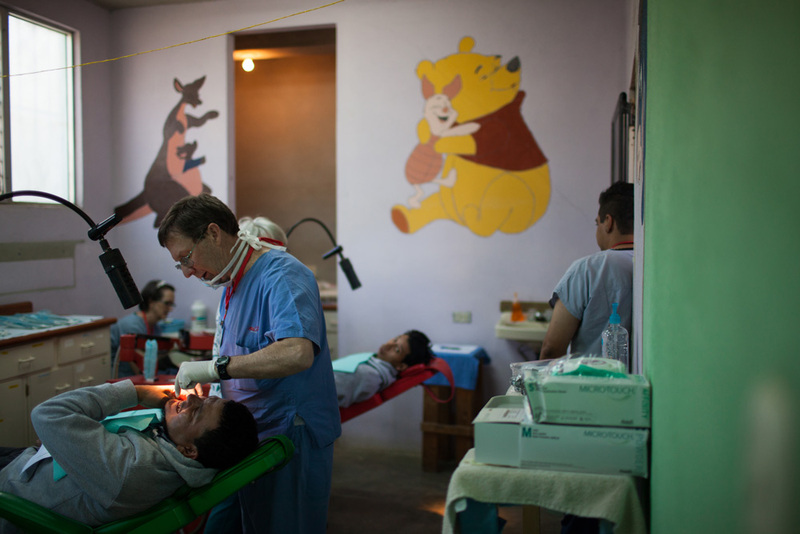 Today, and for the next three days, he’s working at a clinic in San Raymundo, Guatemala, for Refuge International, a Texas-based group that provides dental, medical and surgical aid to poor villagers in the Central American country. More than half of the country’s population are unable to afford healthcare insurance. 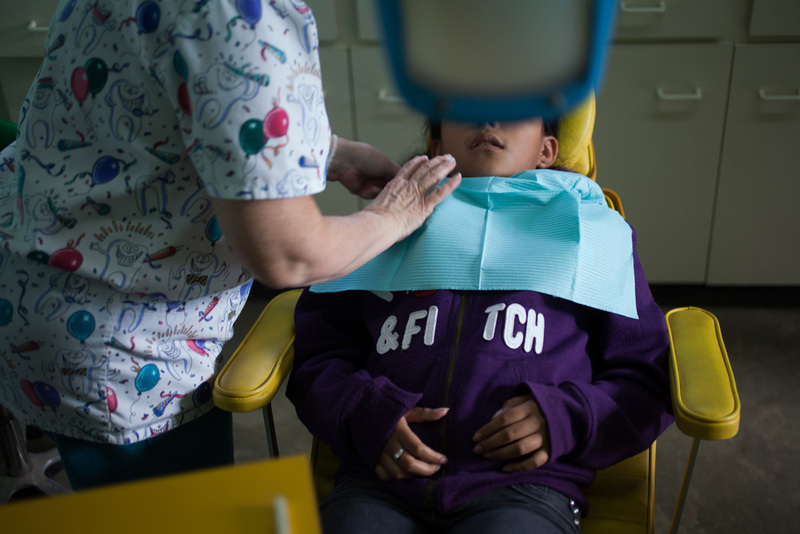 The patients David will treat are poor Guatemalans who have waited six months or more to receive dental care. As David extracts tooth after tooth while Fabiola gurgles blood, a team of surgeons remove a prolapsed uterus of a 50-year-old Mayan woman. Surgeons and anesthesiologists pass in and out of the double door entrance. David pulls out the last tooth, wraps it in gauze and tosses it onto the lab tray to complete the collection. “Where’s her mother?” David asks the room. A bloodied-glove surgeon points to the post operation recovery room outside of the double doors. David explains that the procedure was a success and Fabiola will regain full consciousness in an hour. Fabiola’s mother gestures David a sign of gratuity. What would have cost over 1,000 quetzals, or $130, to get the procedure done, cost her only 15 quetzals. But it’s not about the money. After all, David isn’t getting a single penny out of this operation. “If you have something and hold it in, that’s a sin. If you have too much of something you need to give back,” David said. David, who also teaches Bible studies classes at his local church in Alvin, Texas, believes that dentistry is an “incomprehensive tool” to accommodating people’s needs. “In the medical field, when you’re doing surgery, you need to have a lot of back up support. Whereas in dentistry, you can literally just go out under a tree and treat a lot of people,” he said. “Literally” is the right word since David extracted teeth from patients seated on lawn chairs literally under a tree for several missionary trips. In places, such as Haiti, Philippines and Thailand, David and his dental team were stationed on outdoor patios equipped without dental tools, desks or anything for that matter. “Sometimes we had them seated on stacked lawn chairs and the patients just leaned their head back,” said LaVerne Barnes, one of David’s dental assistants. She contrasts her past missionary experience to San Raymundo’s clinic, pointing out the two indoor dental rooms equipped with drawers, dental chairs and saliva suction tubes. This goal runs in the family as his father and two daughters, Kim and Regan, are also dentists. Regan, 32, has a dental business in Dallas. Kim, 35, and his father work for Boyles Family Dentistry, which David opened in 1981 after graduating from the University of Texas in 1978. Keeping a balance between work and family life is how David has managed to maintain his passion for his profession. David has named Texas Dentist of the Year in 2006 and founded HOPE Clinic, a facility dedicated to meet dental needs of the low income and uninsured. In 2008, with the help of voluntary dentists, most of whom are students at University of Texas, and the community, David’s vision became reality. “Everything he does is intentional. There’s a reason behind it,” said Jody Banks, Executive Director for Boyles Family Dentistry. David captured the attention of the entire community to help jump start a local clinic. An acre of land residing on a major highway, where HOPE clinic would be built, dental tools and 15 operating chairs were donated. In 2010, David received the Jefferson Award, granted to those who display outstanding community service. David’s efforts and acceptance of the award were featured on a Click2Houston, a Houston, Texas broadcast news outlet. But David doesn’t give all the credit to himself for making HOPE Clinic what it is today. “Once you have a patient that believes in you, they’re like missionaries, they go around telling people,” he said. His passion for improving individual lives stem from his strong belief system. “A lot of religion is what you do or the things you don’t do. But it shouldn’t be because of who you are. The bad things don’t define you. It’s natural to have a bent. There’s got to be a break from that,” David said adding that God created all of us with a purpose to break that cycle. David’s continuous service and lifelong goal has put a smile on thousands across the country and around the world. His next stop: Uganda in June.